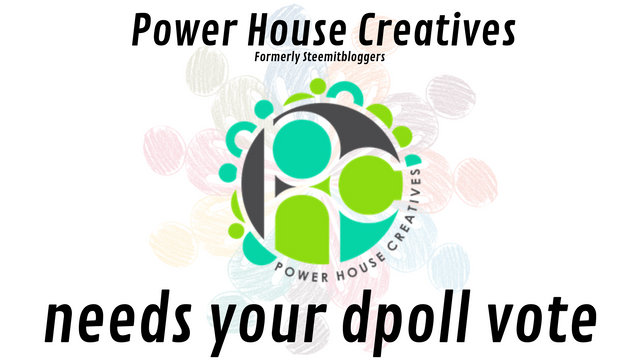 Crunch time for Steemitbloggers and dpoll! Have you voted yet!? I think most active steemians are aware of the ongoing battle for the top spot in @theycallmedan's dpoll competition. The time is now and there are only 12 hours left for you to make a difference! There are tons of reasons to vote for them and I could list them all here, but to be honest, just look around, if you have been on steemit for a while you will most likely know them or have seen them around. Their actions and dedication speak louder than any comments I can make. For the last and final stretch, if you have a vote, please go and help them out! Proud owner of Qurator - Quality curator and steemian support. Check it out! Thank you for reading! Steem on Steemians! Magic Dice has rewarded your post with a 89% upvote. Thanks for playing Magic Dice. THE EXCITEMENT IS REAL I TELL YA!!!! HEHEHEHEHE :) Thank you so much to you @scrooger and the entire @qurator community for standing together with us!!! LOVE YOU GUYS!!!!!! and ETERNALLY GRATEFUL!!!!!!!!! Thank you sooooo much @scrooger. Your support means the world to us! I am going to collapse from all the excitement and stress!!! Thank you SO MUCH @scrooger and to ALL of you AMAZING PEOPLE in @qurator that represent such a SELFLESS individual with an UBUNTU VISION :) Thank you Thank you THANK YOU!!!!! Everyone has worked so hard this week. Thanks @scrooger for your help! I thought maybe you were away from Steemit or something, I haven’t heard from you in too long. But heck no, you’re all over Steemit! I have been away but popped in for this one :) Hope life is treating you guys well ... soak up the sun! Thank you @scrooger! As a member of both Qurator and the Steemit Bloggers this makes me very happy. We are SO gonna win this! Thanks for throwing your support behind us! It means a lot! done voting for the 10k delegation! :) hope you'll win the contest! You just got a 0.02% upvote from SteemPlus! Your UA account score is currently 4.986 which ranks you at #1135 across all Steem accounts. Your rank has improved 2 places in the last three days (old rank 1137). In our last Algorithmic Curation Round, consisting of 265 contributions, your post is ranked at #33.